1st weekend of December. 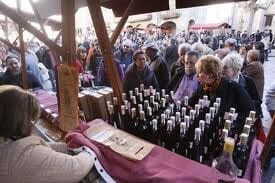 Market craft shows, tasting and sale of liquor in Catalonia. Choosing the best of the year Ratafia of Besalu. 25 people participate in the competition, it is essential to be in Besalu order to get a traditional and typical food product because of Besalu, once the winner chosen by experts, it comes packaged in 700 bottles of liquor.